74+ User Votes to help you find the Best SUV Car Range of 7 to 12 Lakhs in India. 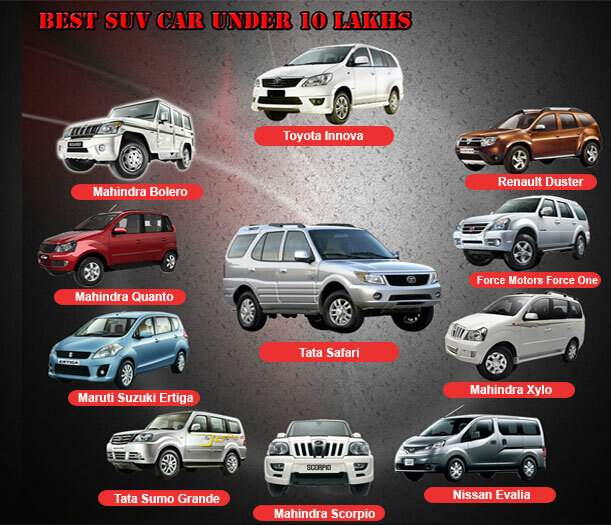 Which is the best SUV car would you like to buy ? *Note: The Rank is based on readers voting. You can also vote for your favorite SUV car through the vote section. Mahindra Scorpio – Mahindra Scorpio is a stylish aggressive looking SUV from the Mahindra. Mahindra Scorpio is known for its combination of tough looks and promising performance. Scorpio is the first vehicle in Mahindra who taste sucess at huge pace. 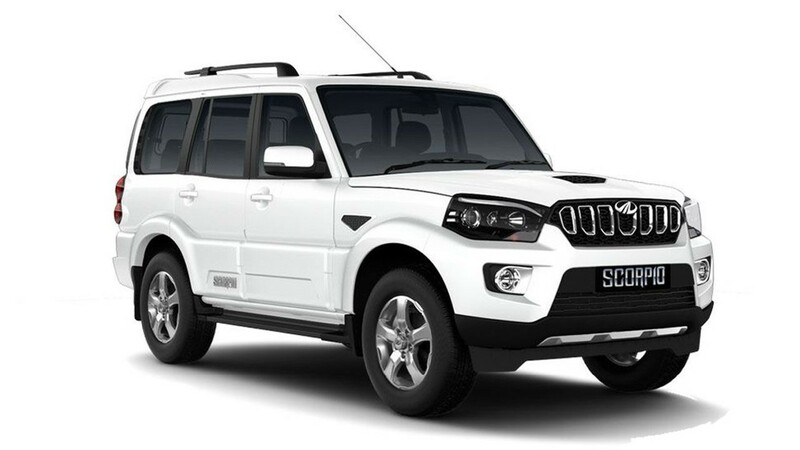 The third or current generation of Mahindra Scorpio was launched back in 2014. The Mahindra launched the updated scorpio with new front and rear look with updated suspension and new interiors etc. The engine is same as before a 2.2-litre mHawK and a 2.5-litre m2DiCR. Mahindra in 2016 introduced a 1.99-litre diesel engine in the car as well, which was launched with the company's Intelli-Hybrid technology. This was done in order to overcome the 2-litre and above diesel ban in the national capital. The 1.99-litre variants are only sold in Delhi. Mahindra Scorpio comes in following 12 variants with 3 engine and 2 transmission and 1 fuel options. Renault Duster – Renault Duster is the compact SUV from the Renault. The Renault Duster has already established itself as a great entry level SUV. 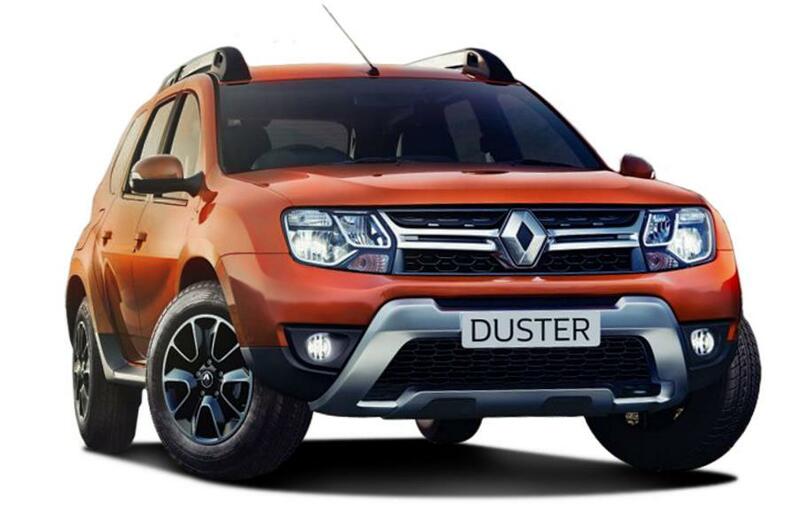 The Renault Duster is come with more affordable then its competition with same specifications. Muscular, stylish with big chrome work in front and uplifted rear look is accepted by Indian consumer. Renault has updated the Duster in 2016 to lend it a new lease of life. The facelifted Renault Duster gets a new grille, revised headlamp design as well as a new design for the air intake in front. The Renault Duster is currently offered in both petrol and disel engine. Renault Duster comes in following 12 variants with 2 engine and 2 transmission and 2 fuel options. Maruti Suzuki Vitara Brezza – Maruti Suzuki Vitara Brezza is an excellent choice for the entry level SUV from Maruti Suzuki. The Vitara Brezza is actually a cross over between a hatch back and SUV. The main reason for it becoming a success is the parent company Maruti's brand name itself. The SUV come has equipped the with Suzuki’s SmartPlay touchscreen infotainment system which has integrated navigation, Apple CarPlay and MirrorLink system. Also, the car has different-coloured illuminated dials and an automatic climate control. Maruti has also introduced the ‘iCreate’ customisation kits for the Vitara Brezza. Maruti offers a healthy list of features along with a whole host of customization option for the Vitara Brezza. Maruti Suzuki Vitara Brezza comes in following 9 variants with 1 engine and 1 transmission and 1 fuel options. Hyundai Creta – Hyundai Creta is a mid range SUV from the Hyundai. The SUV offering which has got a premium feel. The SUV gets the same aggressive iconic Hyundai styling and the brand name will bring some big sales for its new product. The Creta has been made with a logical approach of achieving comfort through compact designing. The Creta looks attractive from almost all angles. The Creta is available with three engine options that is one petrol engine and another two diesel engine options. 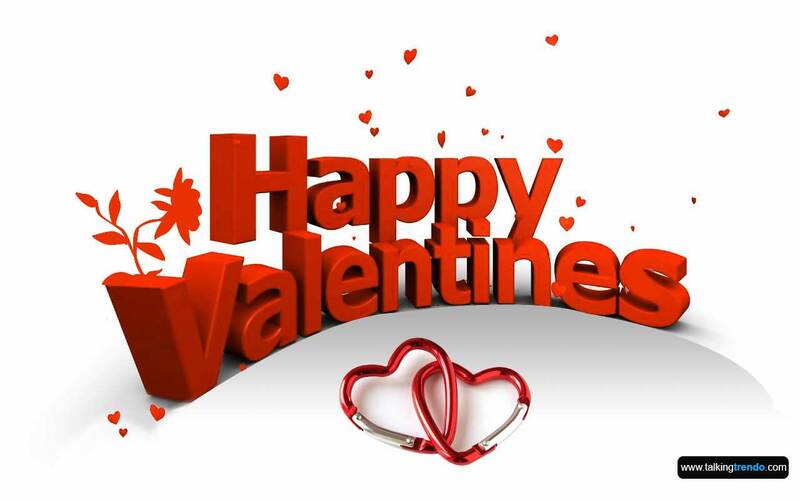 The car has covered every comfort aspect of the passengers. The automatic temperature control unit creates a hassle free environment inside the car. 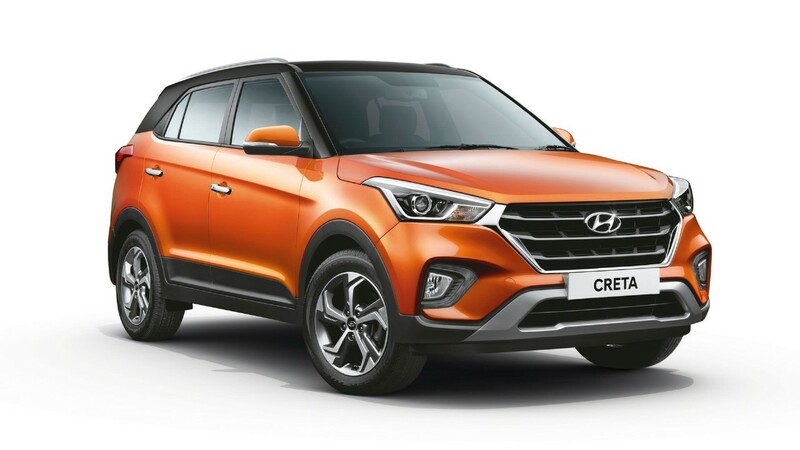 Hyundai Creta comes in following 13 variants with 3 engine and 2 transmission and 2 fuel options. Ford Ecosport – The Ford EcoSport is a mid range SUV from Ford Motors. 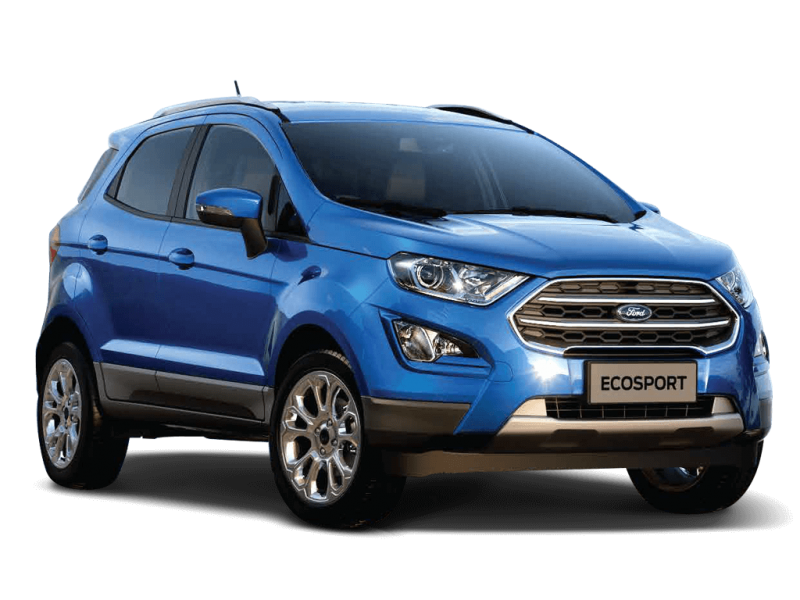 The Ecosport is a sporty small sized SUV. It has two things working in its favor, best looks in the segment and best mid range price. It is one of Fords most beloved productions. 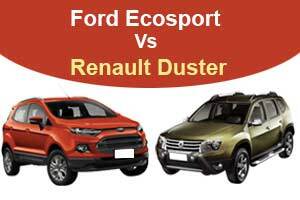 When you think of compacy SUVs you think of EcoSport. Ford EcoSport is simply the best and attract a lot many SUV lovers. It has a smart pricing, looks superb and is compact vehicle that also comes under 4-meter genre. These factors make it stand above all. It comes with LED strip in the headlamps, more features on offer like automatic headlamps, rain sensing wipers. Ford EcoSport comes in following 15 versions with 3 engine and 2 transmission and 2 fuel options. Mahindra TUV300 – Mahindra TUV300 is the compact SUV from the Mahindra. The sub-four metre model is a proper old-school SUV with a ladder-on-frame platform and rear-wheel drive set up. Mahindra has opted for a conventional design and the TUV300 is a boxy-looking SUV car. The front gets modern styling with the five slat grille and chrome surrounds. The interior of the TUV300 feels premium. Mahindra has taken a lot of efforts on the fit and finish of the compact SUV. The TUV300 look compact, tough and useful inside the city traffic conditions as well as the off road exploration. The car gets an excellent riding dynamics and a comfortable ride experience. Mahindra TUV300 comes in following 9 variants with 1 engine and 2 transmission and 1 fuel options. Tata Safari Strome – A ‘stunning and true SUV’ that is how the Tata Safari is explained in the Advertisement. 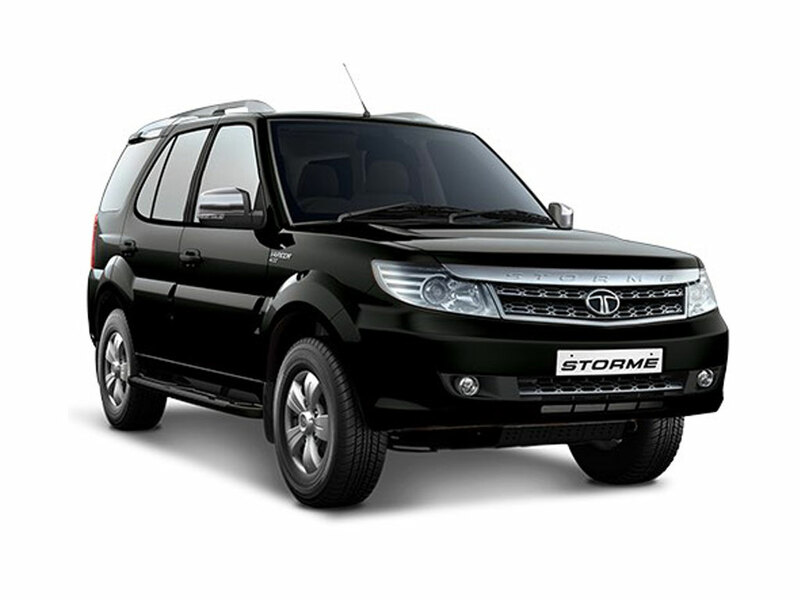 Safari Storme is the flagship SUV of Indian automobile giant Tata Motors. 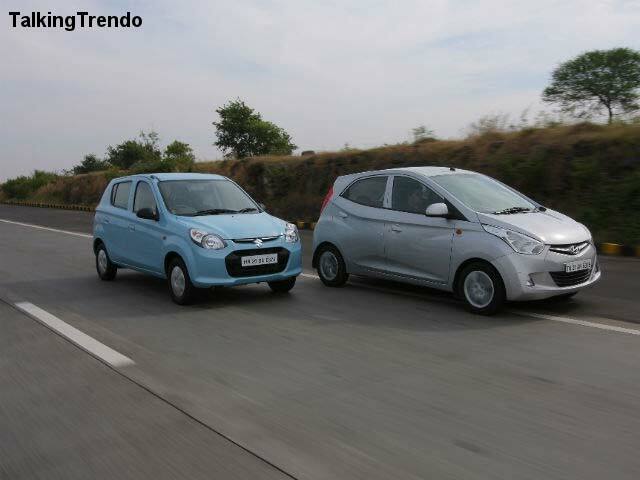 It is a bulky stylish offering in a very sort-after SUV lovers segment. It has also been named as a fuel efficient vehicle which operates at higher speed while using less fuel capacities. 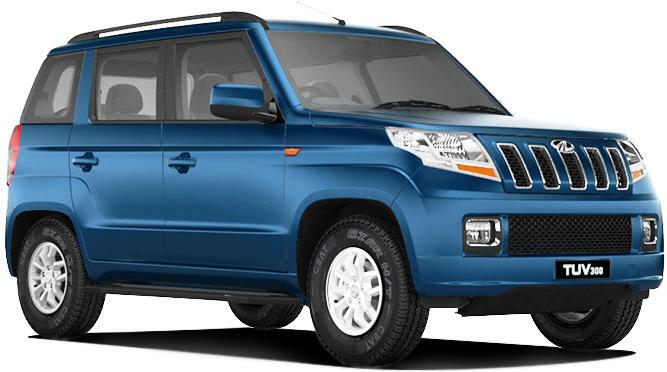 Tata Safari Strome is the symbol of masculinity in looks and with improved finish, comfort and safety levels. It is able to deliver results off road with the same pace and clarity as in the city. 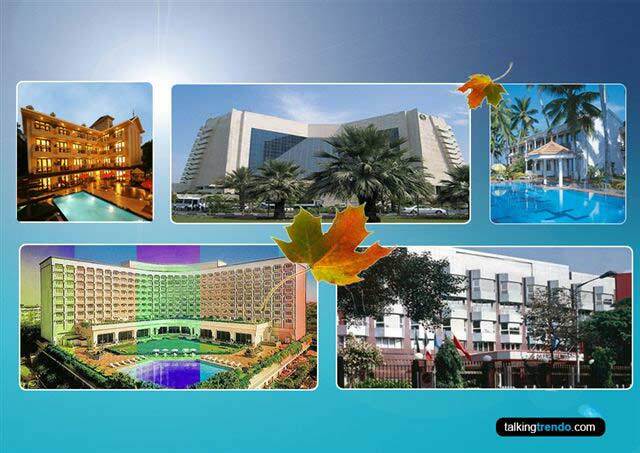 The Safari Storme is also available for who wants much more refined version of safari. Tata Safari Storme comes in following 4 variants with 1 engine and 1 transmission and 1 fuel options. Honda BR-V – BR-V is a premium look SUV car from Honda with the promise of performance at a budget. Honda has added a compact SUV in BR-V its product line-up with an intent of capitalising on the ever-growing SUV demand in the country. BR-V is the a 7-seater SUV and that may come across as an attractive proposition to large families. The rectangular double barrel headlamps are decked up high with the grille to give it the SUV stance. The features list includes keyless entry and go, automatic climate control and an integrated music system with steering-mounted controls. 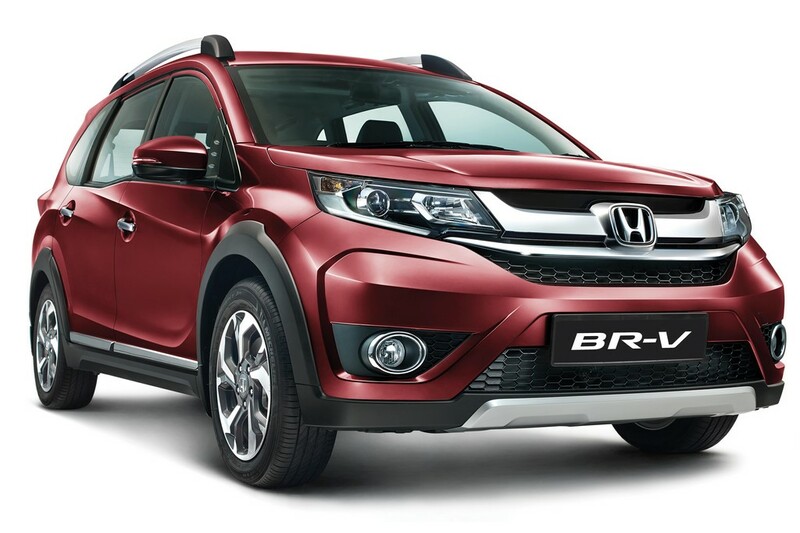 The BR-V is the newcomer from Honda carries a new face which is said to be inspired from the new generation Honda cars. Honda BR-V comes in following 15 variants with 2 engine and 2 transmission and 2 fuel options. 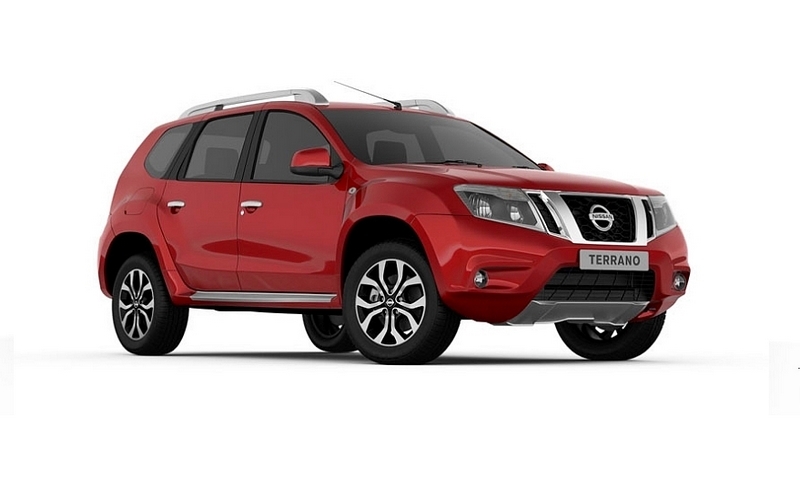 Nissan Terrano – Nissan has launched the Nissan Terrano SUV in India. As you may know, the Nissan Terrano is essentially a badge engineered Renault Duster (which actually is a Dacia Duster) but Nissan has made sure that the Terrano looks and feels different from the Duster. The sheet-metal on the SUV has been redesigned extensively, the interior trim and equipment is different, what remains the same is the drive feel, performance and handling. The new 2016 Terrano come with new featues such as electrically folding ORVMs with integrated turn signals, anti-pinch driver side window, one-touch turn indicators and automatic warning for emergency braking (standard across all variants), among others. Nissan Terrano comes in following 6 variants with 2 engine and 2 transmission and 2 fuel options. Mahindra Bolero – Mahindra Bolero is the champion in SUV Segment in India for a ling time, and still its new variant is able to drive sales figures. A rectangular shaped, aggressive body with almost all latest trends inside is just awesome. Designed for Performance, and sharp handling over bad roads is fabulous. 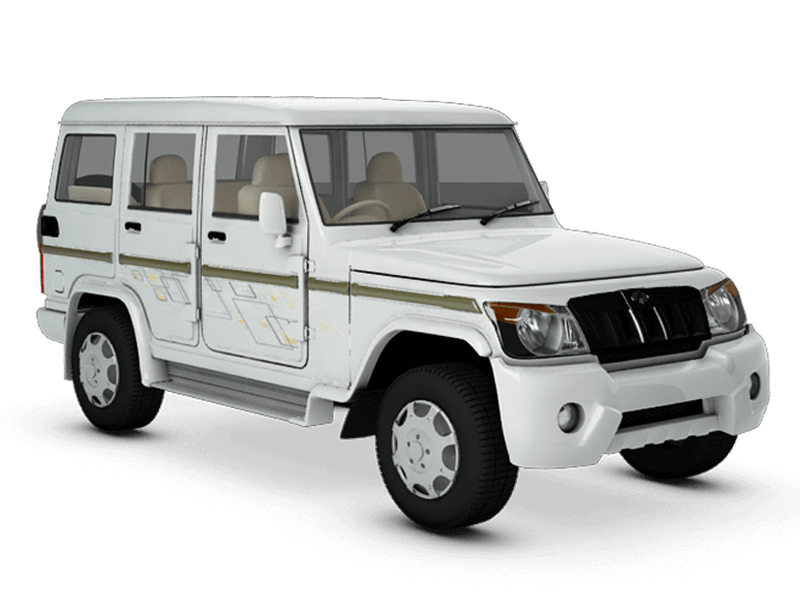 The Bolero is one of the most affordable 7-seater UVs you can buy. 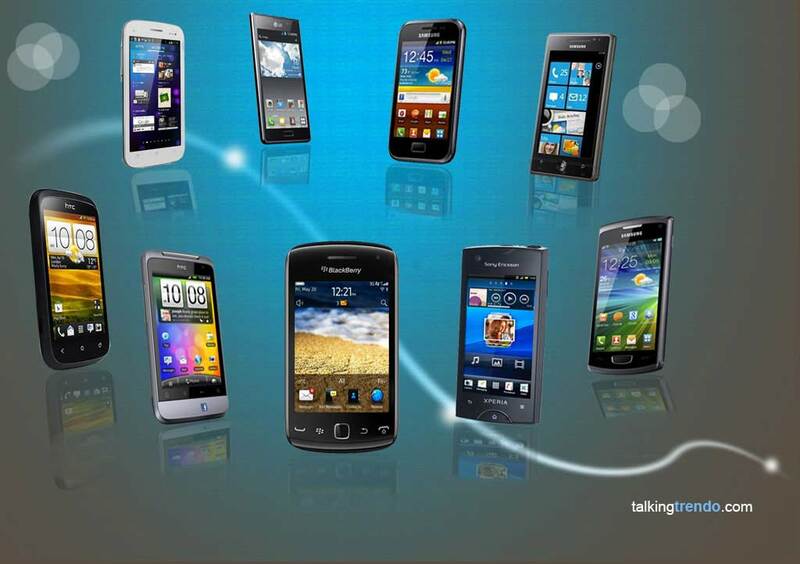 The new-gen models also look sporty to woo the youth and are packed with the latest technology. Mahindra Bolero comes in following 10 variants with 2 engine and 1 transmission and 1 fuel options. Mahindra NuvoSport – Mahindra launched the all new SUV NuvoSport in India, after the TUV300 and KUV100. The Mahindra NuvoSport is a mid range SUV which stands apart due to it's sporty looks and aggressive styling. The car comes with bold new front fascia and undoubtedly, the best part of the car stays it's front section only. The dual tone black and grey interior theme is good looking. The NuvoSport offers dual airbags, ABS, EBD, front fog lamps, seat belts with height adjusters and many more features for the enhanced safety of the passengers. Now with a slightly different design and the new-generation Scorpio’s platform, the company aims to appeal young buyers. 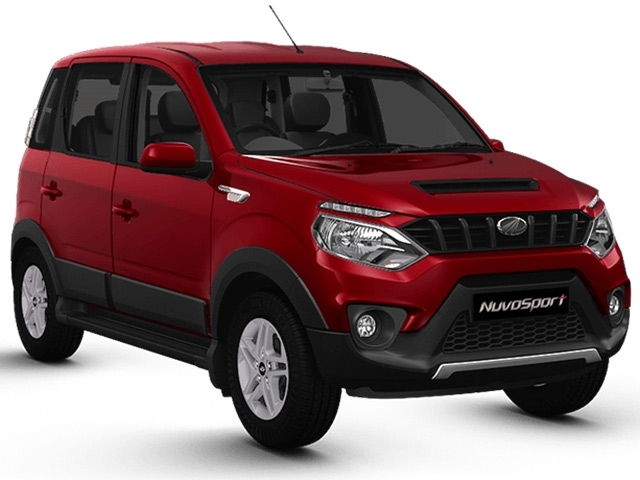 Mahindra NuvoSport comes in following 6 versions with 1 engine and 2 transmission and 1 fuel options. Honda WR-V – Honda has finally launched its first sub-4-metre SUV the WR-V in India. The new-age WR-V, the company has emerged as a strong player in this segment. The SUV come with good comfort and good quality. The new Honda WR-V offers a good balance of performance and efficiency, and ride and handling, something that is bound to go down well with prospective buyers. As for safety, the new Honda WR-V offers dual airbags and ABS with EBD as standard, and a rear camera with guidelines is limited to the top trim only. The WR-V is the a 7-seater SUV and that may come across as an attractive proposition to large families. Honda WR-V comes in following 8 variants with 2 engine and 1 transmission and 2 fuel options. Chevrolet Tavera (Discontinued) – Chevrolet Tavera is the SUV car from Chevrolet. Which caters to the growing SUV demand in India. Tavera is still hype ever since it was launched on the Indian roads and now Chevrolet has come up with facelift model Neo 3 of Tavera. The Chevrolet Tavera has been designed with your comfort and convenience in mind. The interiors of the car are quite comfortable and the car has a heater as well as an air conditioner. The new model features all-new headlamps, tail lamps, stylish split front grille with chrome outlining, new designer alloy wheels, new front and rear bumpers, new color scheme for interiors, new design for upholstery, comfortable and smart centre console with single DIN music system. The powerful and comfortable SUV is a smooth operator. 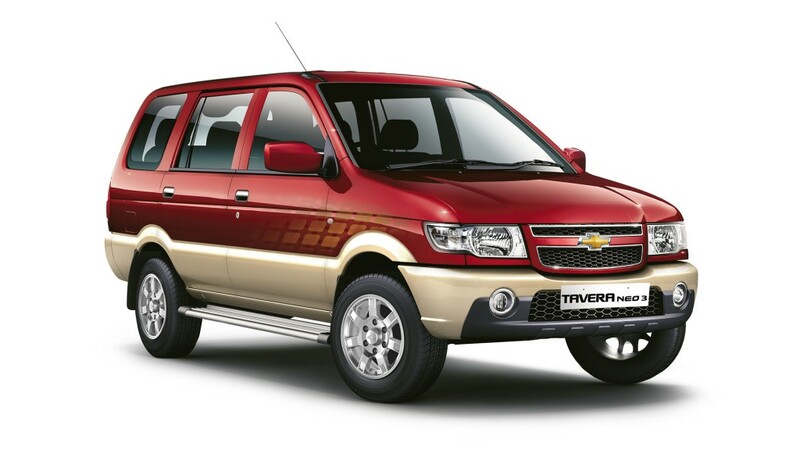 Chevrolet Tavera comes in following 9 variants with 1 engine and 1 transmission and 1 fuel options.